The Law Office of Barbara A. Marcouiller, P.S. is dedicated exclusively to matters of immigration and nationality law. We are pleased to evaluate your immigration or citizenship question. On the employment-based immigration side we focus on employment-based first preference and second preference with national interest waivers. On the employment-based non-immigrant side we emphasize O’s, B’s, H-1B’s, L’s, R’s, P/Q’s, and much more. We welcome scientists, researchers, professors, multi-national executives, artists, athletes, entertainers, religious workers, and teachers, among many others. We are very experienced with all aspects of family-based immigration and citizenship issues, including U.S. citizenship acquired by birth abroad. 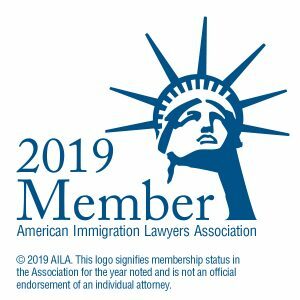 We are also well-versed with other immigration matters including asylum, DACA, and VAWA cases. While we have chosen not to focus on removal defense based on criminal issues, we may be pleased to represent you with other forms of relief including non-LPR cancellation of removal, asylum, VAWA, adjustment of status in proceedings, defense against allegations of having abandoned lawful permanent resident status, and alleged marriage fraud. Contact us to make an appointment for your specific independent evaluation and strategy session. We look forward to serving you. This is general information and does not constitute legal advice; each case must be analyzed independently. Nothing here creates an attorney/client relationship; each potential client must set up an appointment for proper analysis, and written agreement if after a full analysis we both agree in writing that we accept to represent the case and you also agree that you want us to represent your case as detailed specifically in the written contract. We do not endorse the content on this website in translations other than English, unless officially translated by our law office. While the media focuses on the proposed wall, critical new policies are taking effect that substantially affect the procedures for applicants seeking legal immigration. Learn about these substantive changes. USCIS has announced harsh new rules for students and exchange visitors taking effect on August 9, 2018. Learn about these rules, and how they affect leave and re-entry into the US. ICE shifts immigration enforcement targets to employers by significantly increasing the number of I9 audits it conducts. Homeland Security Investigations Director Benner stated on May 14, 2018 he intends to create a “culture of compliance” by instilling in employers “a reasonable expectation that they will be audited.” The Associate Press reported him to state, “I think it’s a game changer.” Be ready. Read here to learn how to prepare. The administration has announced it is releasing an additional 15,000 visas for seasonal workers between now and October 1st. The increase is needed but is too little too late. The process takes months, as described in this post. The season is more than half over. The situation with H2B visas does need to be addressed, but in a reasonable manner allowing for the necessary government processing times and the timeliness of need for the workers. In a post on this site we explained the proposed International Entrepreneur Rule set by the Obama administration that would have made it easier for foreign investors and entrepreneurs to enter the U.S. The International Entrepreneur Rule set to go into effect next week was put on hold today. Learn about the current status of this rule. False Claim to U.S. Citizenship: There’s No Waiver! There is no waiver for a false claim to U.S. citizenship made after September 30, 1996, unless the applicant can demonstrate specific facts to show he reasonably believed he was a U.S. citizen. The question of whether an applicant claimed in writing or in any way to be a citizen is asked on immigration application forms. Immigration filing fees increase significantly December 23, 2016. Take action on your case now. Current fees and new fees for common applications given. Can a hardship to children who are US residents be the basis of an extreme hardship waiver? Read the story and outcome for one petition. The information presented herein is general in nature and will not be applicable to all circumstances. Nothing contained herein shall be deemed legal advice, and users are cautioned not to rely on any information contained herein. Neither the use of this website, nor the submission of a contact form, shall be deemed to create an attorney-client relationship.